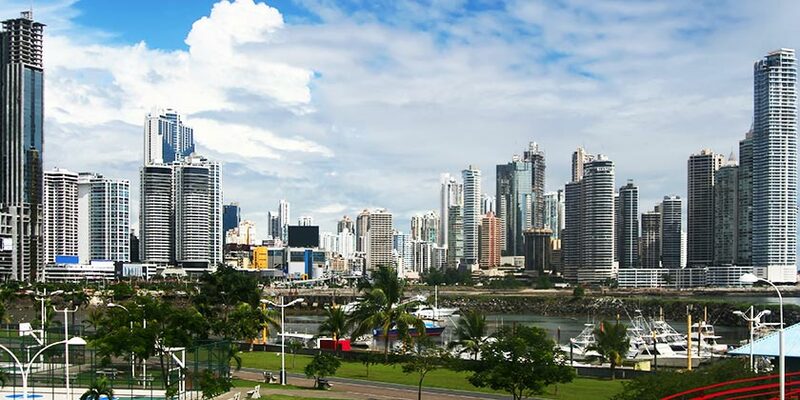 Somewhere juxtaposed between a historic, native culture and a vast, humming metropolis, you’ll find Panama City. Perched on the sidelines of the Pacific, this lush coastal gem comes packed with deserted islands, colorful coral reefs and miles of preserved rainforest waiting to be explored. The blue coastline is littered with glittering skyscrapers in this tropical, lively capital, and features a bustling city as the forefront of a truly diverse tropical playground. With routes with United Airlines® taking you there, you won’t have to wait long to bring your Panama City adventure. Other hot spots like Decameron, Gamboa and the Panama Canal are within two hours of the airport. Pair these Panamanian wonders with an all-inclusive resort and you’ll never want to leave this ocean-side paradise. Plus, airport and hotel transfers are available for your convenience. Visit beautiful Anton Valley, a picturesque village in a crater of an extinct volcano and experience the exciting Canopy Adventure. This is your chance to get to know the eighth wonder of the world from the best perspective imaginable - on board a boat transiting through the locks. This tour takes you to see Miraflores Locks where you can appreciate the operation of the Canal and the passing through of ships (subject to the panama Canal authority's transit schedule). Learn about the history and culture of the Embera Indians with a visit to an Embera community on the banks of a river in the Canal Basin. Experience the history behind the Panama Express train while visiting the city of Colon, the Western Hemisphere's largest free trade zone; and Portabelo. At a height of 118 feet, the panoramic view will give you the opportunity to admire the diversity of trees, birds, hummingbirds, butterflies, monkeys in their natural habitat. Resort info: On a sprawling Panamanian beach along the serene Pacific Ocean, this all-inclusive resort has everything you could want for total relaxation. Resort info: ​Located alongside the Pacific Ocean, on a mile long stretch of golden sand on Playa Bonita Beach. Resort info: Live like a rock star in one of the 500 stylish rooms and suites, then experience the 11 exciting bars, 4 tantalizing restaurants, and nightclub. Resort info: A unique property nearby the Soberania National Park Rainforest, on the banks of the Chagres River and Panama Canal. Resort info: Its exclusive service and complete facilities offer a variety of activities, sports and entertainment to all clients. Resort info: Coronado is the perfect destination for those seeking the combination of beach, tranquility and relaxation. Resort info: Just a short drive from dynamic dining, shopping, museums and entertainment, this tasteful, cosmopolitan hotel appeals to everyone.